This is not a trip that I recommend that anyone replicate. Some interesting towns, a lot of beautiful scenery, loads of history, but plenty of failures. It was also, however, educational and a very successful reconnaissance. At the end of this article I will tell you how I think that you should plan your trip to this fascinating area. I started out very early in the morning, mid-week, in Gold Beach, Oregon. I took coffee with me in the car and drove up Highway 101 to Reedsport where I had a very mediocre breakfast in a totally forgettable cafe. After consuming the necessary calories I turned east on Highway 38. The weather was gloomy and the elk were elsewhere. (Highway 38 a mile or so from Reedsport has an excellent elk viewing area with rest room facilities. A good thing to keep in mind when driving through this part of the Oregon coast.) No matter the weather, this part of the trip is always beautiful. 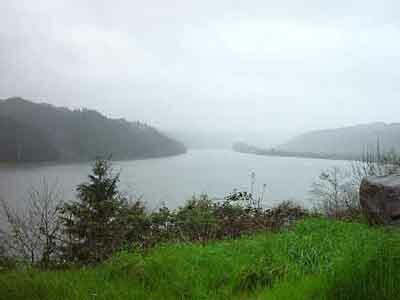 The western stretch of Highway 38 follows the Umpqua River and is justifiably designated one of Oregon's Scenic ByWays. About half way to Drain the scenery transitions to rural farm land and one usually starts to escape the coastal drizzle. Not this day. The gloomy weather was to remain my constant companion most of the day and well into night and somehow I knew it in the marrow of my bones. Highway 4 is not particularly interesting, but there are numerous signs pointing to landmarks on the river a mile or so south of the route of travel. Many of them are Lewis and Clark related. I chose to visit one at Skamokawa. I am an enormous fan of these two intrepid wanderers and I find every shred of evidence of their unbelievable travels absolutely fascinating. At this point on the Columbia they knew that they were getting close to the Pacific Ocean and their discussions with the local natives confirmed it. It must have been an exciting time for them and the sky even brightened a bit for me on my trip. 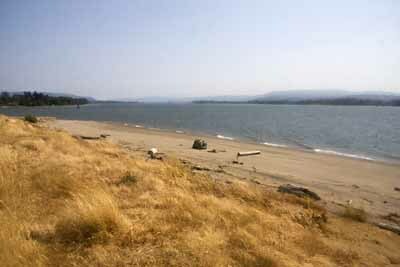 Lewis and Clark continued west on the river, but Highway 4 turned north and began crossing the series of waterways that characterize western Washington. A few miles up the road, at the intersection with Highway 401, I turned south toward the river and Oregon. I did not want to miss any of the actual coast of Washington. Highway 401 joins Highway 101 at the bridge that crosses the Columbia to Astoria. I turned north and paid a quick visit to Fort Columbia, which together with Fort Stevens on the south bank of the river, controlled access to the Columbia before the advent of modern air power. These forts were never tested, but they are still interesting relics of a simpler time in defensive military war craft. I try to never miss one in any of my travels. Shortly after the fort, there is a turnoff to Cape Disappointment and it's lighthouse. I wandered out to the light station, but due to time constraints, chose not to hike to the edge of the continent on the cape. 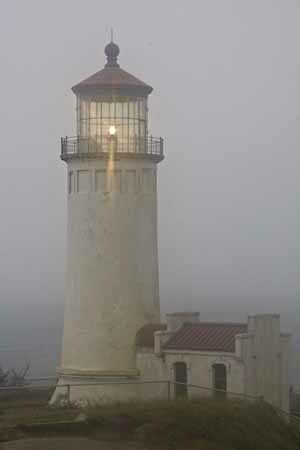 The light station keeper's world is like no other that I can imagine. Day in, day out, keeping the lens clean and the light bright to aid seafarers that depended on it would be a wearing responsibility. Just the sameness of routine would require a specific kind of mental stamina that I do not think that I possess. 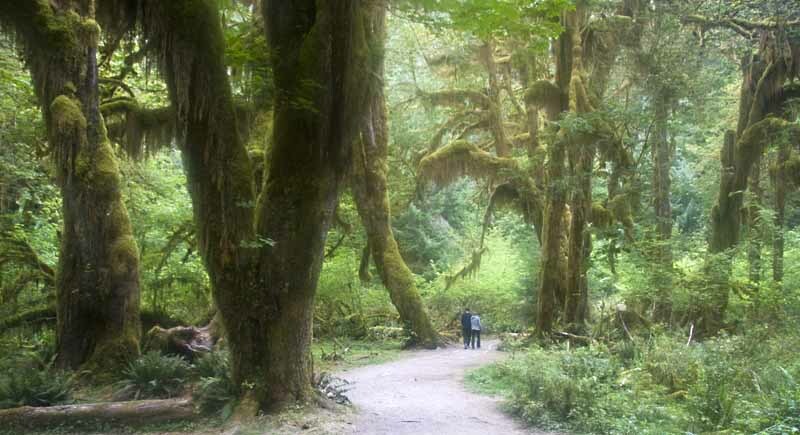 After Fort Columbia and the cape, one soon enters into an area of the coast that is dominated by tree farms You see everything from clear cut forest land to mature forests and everything in between. Timber management issues are alive and well in the Pacific Northwest and you will notice signs speaking to the the economic importance of the timber industry. I continued north on Highway 101 and began looking for a place to call it a day. I was traveling alone so my wants were simple. My research on the internet had indicated that I was going to have heavy drizzle and light rain all through my trip so I had eliminated the bed roll and tent. I was looking for a roof over a bed in the vicinity of a good dinner. As it turned out, I was too picky early on in the afternoon and much too late for a vacancy into evening. To make a dismal story short, I ended up driving the entire western coast of Washington without finding what I was looking for - at any price. It was August and America was on vacation and everyone had decided on visiting the Olympic Peninsula. Finally, in Port Angeles, at around eleven o'clock at night, I got the last room in town from an innkeeper who knew just exactly how valuable it was. I unhappily gave him much too much money and turned in without dinner.